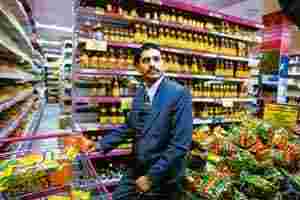 New Delhi: Supermarket chain Vishal Retail Ltd has received a notice from the Employees Provident Fund Organization (EPFO) alleging that the firm had deposited insufficient funds in the provident fund accounts of nearly 13,000 employees. Vishal Retail, which confirmed receiving the notice and denied any wrongdoing, was asked to make up the difference. The company has appealed against the notice. The notice, sent by the New Delhi office of the Regional Provident Fund Commissioner, said Vishal Retail had understated the salaries of the employees and deposited lower contributions in their accounts between 2002 and 2009. “We made our assessment and asked for about Rs11 crore," said R.C. Chawla, the lawyer representing EPFO. Vishal Retail is the second chain store operator accused by EPFO of provident fund violations in less than a year, as the country’s fledgling organized retail industry struggles with high costs and inventory pile-ups following an economic downturn. Subhiksha Trading Services Ltd, which went out of business this year after it ran out of cash and failed to raise capital, is locked in a legal battle with EPFO over claims for provident fund dues of thousands of employees. The company has got a stay from the Madras high court stopping the agency from assessing the retailer’s provident fund contributions. Vishal Retail is working on a corporate debt restructuring scheme with creditors that have around Rs730 crore in exposure towards the discount supermarket operator. “We had divided the salary into basic and housing allowance and deposited PF (provident fund) on the basic", he said. Now EPFO is asking it to deposit the PF contribution on the entire salary and make up the difference for the past years when it had been paying the amount on the basic. According to EPFO’s lawyer Chawla, the salaries that were shown by Vishal Retail were lower than the minimum wages set by the government, an allegation denied by Vishal Retail’s group president Ambeek Khemka. The company “strictly follows the minimum wage as applicable from time to time and the allegation is baseless and motivated," he said. “We only follow the universal method of deducting provident fund on basic pay as is done by most corporates." A provident fund is a sort of a pension savings account, with an employee contributing 12% of basic salary and the employer chipping in with a matching contribution. Minimum wages vary from state to state and in Delhi the minimum wage for sales staff currently is Rs3,934, according to Anadi Sinha, the head of human resources for north India at the country’s largest listed branded store operator, Pantaloon Retail (India) Ltd. In a bid to quash the notice, Vishal Retail filed a case in the Delhi high court that it withdrew late last month to make a plea before the appellate tribunal. The company has filed an appeal before the appellate tribunal. An aggrieved party can appeal to the tribunal against any order passed by a Central or state government authority. Asked if Vishal Retail would pay up the Rs11 crore, Khemka said the “concerned department has not given any justification for the alleged amount till date".